Je Trade or Jhaveri Securities, is an integral part of the Jhaveri Group that has been serving as an eminent financial service provider in India assisting the nationwide traders across many Equity and Derivative trading segments. This particular article, is meant to highlight in detail the firm’s pros and cons in terms of the products it has, services it provides, brokerage and other relevant charges it ordains from its registered clients. We will also go though permanent or occasional offers it brings up, and, obviously, the effectiveness of all their trading platforms either physical as well as remote (online) it extends its supports through. The company was founded in Vadodara, Gujrat in the year 1992 by its founder Mr. Ashwin C Shroff and has evolved to be praised as one of the most eminent and complete brokerage services providing companies within the country. The company has membership across all the major depositories as well as stock exchanges like NSE, NCDEX, BSE, NSDL and MCX and is currently serving over one lakh clients from across various states of the country. The kind of success it has gained in a little more than twenty five years is absolutely commendable. As a matter of fact, Jhaveri Securities boasts about its strength in research and analysis of the trade and stock market, thereby, providing its clients with safe and sound investment opportunities. The aforementioned table has been drafted in order to give you an exact description of all sorts of charges imposed up on the registered clients of Jhaveri Securities in the form of brokerage. Looking into the table will help you understand that Jhaveri Securities impose a charge of 0.20% over the total value of Equity Delivery Trading, 0.03% over the total value of Equity Intraday Trading. The brokng house charges 0.03% over the total value of Equity Futures Trading and 0.03 % over the total value of Currency Futures Trading, Rs. 50 per lot over the total value of Currency Options Trading and Rs.20 per lot over the total value of Equity Options Trading. Apart from these, Jhaveri Securities also charge a sum of Rs. 400 per annum as their annual maintenance charge for proper maintenance of Demat Account and Rs. 300 per annum as the annual maintenance charge for maintaining the Trading Account. The company also requires its registered traders to have a minimum balance of Rs. 10,000 as Margin Money in order for them to continue using the financial services being granted by the firm without any hindrance. The chart as quoted above has been made to be easy to understand and yet give out the correct knowledge of all sorts of Brokerage Charges as imposed by the fir. Nevertheless, if you still come up with any doubts, you can always refer to their dedicated brokerage calculator that goes by the name of Jhaveri Securities Brokerage Calculator. It can easily help you calculate the applicable charges related to brokerage for Equity Intraday Trading, Equity Delivery Trading, Equity Futures Trading, Equity Options Trading, Currency Futures Trading, Currency Options Trading and Commodity Trading. 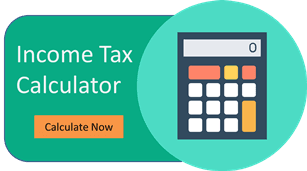 Moreover, this amazing tool can also provide you with in-depth interpretation of all the other relevant charges that may be implied by the company in relation to transaction, Stamp Duty, Securities Transaction Tax, SEBI Turnover Charges as well as GST. As you can rather easily conclude by sparing a glimpse at the above mentioned table, apart from the usual brokerage charges, Jhaveri Securities also impose a charge of 0.0325 % of the total turnover in the form of transaction charge. Other than this, the broking house ccharges 0.0126 % of the overall turnover in the form of Securities Transaction Tax, 0.0002 % of the cumulative turnover in the form of SEBI Turnover Charges and 18 % GST on the cumulative sum of the brokerage and transaction charges put together. Apart from these, they also ordain a particular amount in regards to Stamp Duty, which is, however, variable as per the state boundaries and rules. The stamp duty does not add up to much, anyway. Being in the trading market for well over twenty five years, Jhaveri Securities has always welcomed people throughout the country to join in as traders. As a matter of fact, anyone who wants to trade across the Indian trade market (NSE, BSE, MCX, etc.) can become one of their traders by simply paying a joining or say account opening charge of Rs.199. Once, a trader, you will also be required to pay an amount of Rs. 400 per annum as Demat AMC and Rs. 300 per annum in terms of Trading AMC. There is yet another thing that has been made mandatory for the traders and that is to maintain a minimum balance of Rs. 10,000 in terms of Margin Money so as to be able to continue with all the services of Jhaveri Securities without any hindrance. As you can spectate from the table that has been mentioned above, Jhaveri Securities do not lay out a lot of offers for any of their registered clients. As a matter of fact they only provide offers related to Concession on Brokerage and Flexible Plans in regards to Brokerage Charges. Anyway, they have no offers at all with regards to Free Demat Account, Free Trading Account, Trading Happy Hours, One Month Worth of Broker Fee Trading, Holiday Offers, Referral Offers or even Zero Brokerage for Loss Making Trades. How to open up an account with Jhaveri Securities? If you are looking forward to joining a full service brokerage firm as a trader or just want to have a Demat Account, then you must have come across the name of Jhaveri Securities. Click on ‘Open Demat Account’ button mentioned in green below. Carefully go through the entire form that pops up on your computer screen after clicking on the green button. Fill up the entire form with the required details with absolutely care. Once you have finished up filling up the form, then you will need to upload some document in order to get the KYC verification. In order to complete this process, you must have a copy of your Aadhar Card, PAN Card, and one photograph so as to be able to verify your age, identity and address. You may expect a call by an authorized person on behalf of Integrated Enterprises so as to complete the final verifications. You will be able to freely access your Demat or Trading Account in a few hours after the final verifications are over. Why open Jhaveri Securities Trading Account ? I is mandatory form anyone from India who wants to trade across the various segments of NSE and BSE to have wither a Demat or a Trade Account. They are amongst one of the most reputed firms in India dealing who provide full services in regards to India equity and derivatives trading. They have over two decades of experience which can come in handy for the new traders. As can be easily speculated by having a glimpse at the above table, Jhaveri Securities has extensive products related to Equity Trading, Commodity Trading, Currency Trading, Options Trading, Futures Trading, Mutual Funds, Systematic Investment Plans and Insurances. However, they do not offer any support or products for that matter in terms of Forex or banking. As you can see from the above mentioned table, Jhaveri Securities exclusively gives out proactive support related to Demat, Trading, Intraday, Initial Public Offering and Stock Recommendations, each with up to a trading exposure of twenty times. Nonetheless, they do not provide any services in terms of 3 in 1 Account, Robo Advisory, Portfolio Management Services or Trading Institution. The aforementioned chart has been designed in order to give you a detailed description about the research and advisory related strengths and weaknesses of Jhaveri Securities. As can be easily stated, they only provide some support in terms of Free Stock Tips, Top Picks and a Relationship Manager. Nevertheless, they do not offer any services or support in terms of Fundamental Reports, Annual Reports, Company Reports, Research Reports Initial Public Offering Reports, Company Stock Overview, Daily Market Review, Monthly Reports, Weekly Reports or even Offline Advisory. The above mentioned table has only one purpose and that is to inform you about the kind of leverage and exposure one can expect in terms of equity and derivative trading. As you can see, Jhaveri Securities promise an additional trading exposure of up to four times on Equity Delivery Trading and Commodities Trading, up to twenty times on Equity Intraday Trading. Apart from these, the stock broker provides up to five times leverage on Equity Futures Trading and Currency Options Trading, up to eight times on Equity Options Trading and up to three times on Currency Futures Trading. In case you still have any doubts about the exact exposure you can get for a certain amount of shares you want to purchase, then you should most definitely refer to their dedicated margin calculator known by the name of Jhaveri Securities Margin Calculator. This calculator can provide you with the appropriate figures in terms of exposure for trading as provided by Jhaveri Securities along a variety of equity and derivative trading segments like Intraday Trading, F & O, Commodities Trading, Currency Trading and Delivery Trading. This wonderful tool can also be used to precisely calculate the number of outstanding shares that can be earned through the company’s added leverage alongside the marginal funding. Jhaveri Securities have developed a series of applications by the name Trade. As a matter of fact Jhaveri Securities is amongst some of the few brokerage houses who have made their presence available on the Mac and IOs platforms. Jhaveri Securities likes to call their dedicated browser based trading platform by the name of Trade Insta. Trade Insta has been developed by keeping in mind the features and functionalities of the NOW software by NSE. Extended compatibility with almost every desktop based operating system, thereby making it one of a kind as compared to its counterparts, which are limited to a one or a few operating systems. This software can also be accessed and operated through any tablets. This software comes with a feature that allows the users to visualize a common market watch for all exchanges and segments. The software has also been made to be compatible for use with all the widely accepted and used browsers. The software also supports accessibility from mobile based browsers for providing on the go experience to the users. Jhaveri Securities has also developed a dedicated Android as well as IOs based mobile app for its registered traders known as Trade On Move. The software is free to download and also does not require any periodic charges to be paid by the user after a certain time. This software enables the users to trade across multiple Equity, Futures and Options trading segments without any hassle. The application comes integrated with the ability to display live charts and stock price movements across multiple exchanges and indices. The software allows the users to keep an active track of their respective Depository Participant holding and balance. This application enables the respective users to access global markets as well. This app comes integrated with the ability to access Jhaveri’s research and analysis reports in real time from any place and any time. The software come integrated with the ability to enable the respective users to have a glimpse of the common market watch across all the segments of NSE, BSE and NSEFO in real time. Jhaveri Securities have a dedicated desktop based remote trading platform to offer its registered traders that goes by the name Trade Velocity. The application is relatively easy to download. As a matter of fact, it only requires one click for the users to download this software on to their respective desktops and be installed. The software comes integrated with the ability to execute trades at extremely high speeds that comes in handy specifically for the high volume traders. The software is also integrated with the ability to showcase common market watch across all exchanges and indices for the respective registered users. Jhaveri Securities has in fact, have a rather small network of only thirty five different branches located throughout the nation that provide support related to Dedicated Dealer, Offline Trading and Online Trading. Nonetheless, they do not provide any support in terms of 24 * 7 support, Chat Support, a Toll Free Number or even Email Support. As you can easily speculate after observing the chart mentioned above, Jhaveri Securities only received a total number of two complaints last year in BSE and three in NSE. These complaints were resolved with immediacy, thus making the overall percentage of the number of complaints rceived against the number of their active clients to 0.03%. We do agree to the fact that Javeri Securities’ reputation precedes them. Nonetheless, we also acknowledge that there are a lot of disadvantages for the traders while working alongside the firm. Their support based on research and analysis is very poor and lack most of the required information. Their customer care support is also very poor considering the fact that they do not provide any sort of support other than a Dedicated Dealer, Online Support and Offline Support. They do not even have any provisions for opening up a free account and also charge annual maintenance for Demat and Trading Accounts. Jhaveri Securities has been actively and effectively providing services related to Demat and Trading for well over the past 27 years. Infact they are well respected and regarded by the traders throughout the nation. However, their services and products lack a lot of extensive support. On the whole, we believe that Jhaveri Securities can still make some changes in terms of their support.